In the Minneapolis/St. Paul area, the I-35W corridor between downtown Minneapolis and Lakeville is one of the most heavily traveled, serving approximately 200,000 vehicles per day. It is also one of the busiest transit corridors in the state of Minnesota, serving approximately 15,000 bus riders per day. 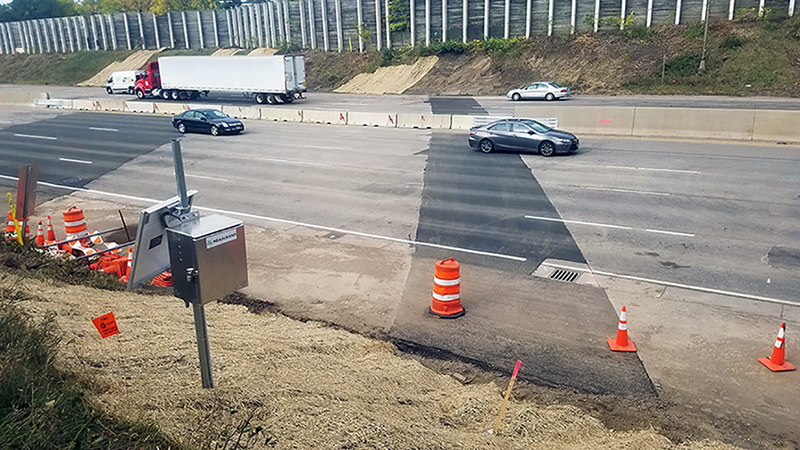 The Minnesota Department of Transportation (MnDOT) has recently begun a four-year project to improve the nine-lane artery, immediately south of downtown Minneapolis. 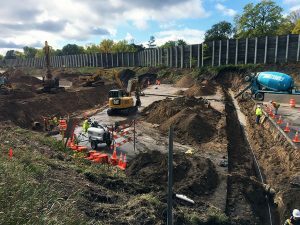 To keep the project on schedule, MnDOT allowed the contractors (Ames/Lunda/Shafer Joint Venture) a full weekend closure in early October. 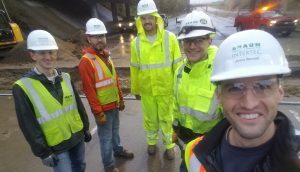 The contractor reserved the weekend for complex and time-sensitive work activities, including the installation of an automated settlement monitoring system used to track the movement of two very large, very shallow sanitary sewers crossing underneath the corridor, for the duration of the project. Working for the contractor, Braun Intertec recognized early on the urgent nature of installation and the physical constraints of operating such a system as it was specified. Thus, Braun Intertec recommended an alternative approach that would not only expedite the installation process and reduce costs, but also increase the survivability of the sensors and system and provide a more comprehensive set of data. The approved alternative utilized instrumentation called ShapeArrays—settlement monitoring devices using tilt sensors spaced every half-meter—secured to the top of the sewer. 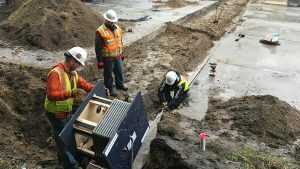 It also included a solar-powered monitoring system, which utilizes dataloggers and cell modems to collect and present data near-real time on a secured website, so the agency can remotely monitor the sewer profiles for movement and quickly respond as necessary. With the narrow window of one day to install the instrumentation, Braun Intertec worked closely with the contractor in planning and sequencing the project activities for the weekend. After the contractor prepared the installation zone and trenched down to the sewers, a team of Braun Intertec engineers installed the ShapeArrays across the full width of the corridor and the solar-powered stations that monitor them. Next, the contractor repaired the slopes, backfilled the trenches, and repaved the sections; ready to reopen the interstate Monday morning. Thanks to effective collaboration and efficient installation of the instrumentation, the team was able to complete all of the weekend activities and keep the project moving forward. Braun Intertec offers a full suite of instrumentation services ranging from the design of comprehensive instrumentation programs to the installation of sensors to the management of data acquisition systems and more. To get more information on our Instrumentation services, contact Jimmy Bennett.